A great venue available for community booking and hire in the heart of Hammersmith. A great selection of classrooms available for hire. Perfect for tuition, language classes and workshops. Can accommodate up to 30 people. Large dining hall perfect for a variety of bookings. Capacity for up to 150 people. West London Free School is a respected Secondary School located in Hammersmith, West London. The relatively modern School was founded in 2011 and since then has been at the forefront of education both locally and nationally. The West London Free School could be the perfect host venue for your booking! 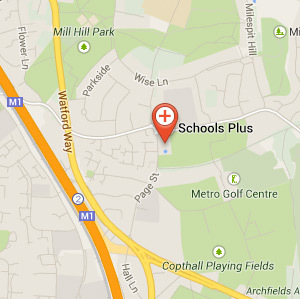 We at Schools Plus are thrilled to be working with West London Free School to provide access to the school’s outstanding facilities to the local community outside of school hours. Please note that this microsite is for the booking of facilities located in West London Free School’s Franklin House campus only. West London Free School is located in Hammersmith, a mere two minutes walk from the tube station.